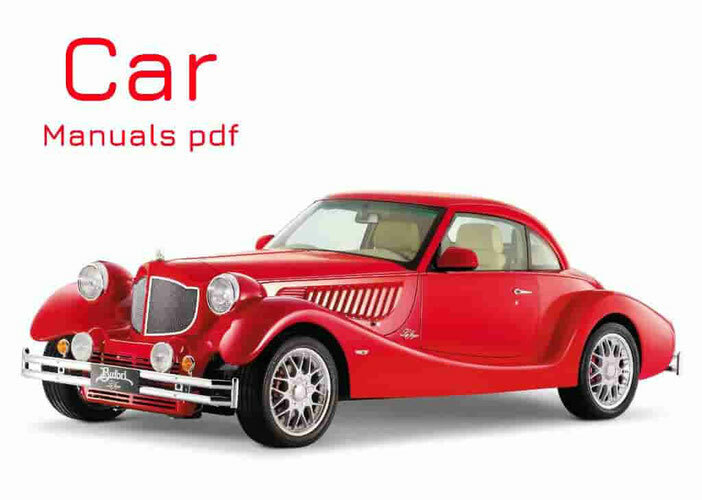 Proton Car Manuals PDF above the page. Proton is the largest automaker in Malaysia (Perusahaan Otomobil Nasional Bhd), specializing in the production of vehicles under license from Mitsubishi (Manuals page). The production of cars in Malaysia began in 1983 after the signing of an interstate agreement between the Malaysian automobile company Heavy Industry of Malaysia and the Japanese concern Mitsubishi Motor Corporation. The first cars "Proton Saga" came off the assembly line "Proton" in 1985. This model Saga (Iswara, Magma) with sedan and hatchback bodies is a 1983 Lancer, slightly upgraded externally and with a reinforced suspension suitable for local operating conditions. In 1985, exports of cars to countries with left-hand traffic were being established. In 1991, the joint venture was transformed into Public Limited Company (PLC), free from the influence of Mitsubishi Motor Corp. In 1995, the company is part of the DRB-HICOM group. In January 1996, the first show of the mid-range sedan Proton Perdana, created on the basis of Mitsubishi Eterna. In October of the same year, Proton acquired 80% of the British company Lotus. The dynamically developing Malaysian company Proton in 1997 released over 230 thousand cars. Soon, it is planned to produce cars from the new production center Proton City, which includes another plant with a car maintenance station, research and other units. The first car will leave the conveyor of this plant only by the end of 2003. In the first year, it is planned to produce about 150,000 cars. This plant is part of the project of the government of Malaysia for the construction of the so-called "city of Proton". The first existing Proton plant is currently operating at full capacity to cope with the ever-increasing demand. Annually in Malaysia it is sold about 300 000 cars, from them 60 percent - cars Proton. 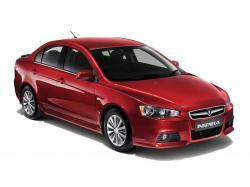 Proton accelerates the lineup, compiled previously exclusively from models manufactured under license from Mitsubishi. At the heart of the 300 Compact series is the popular Mitsubishi Colt. Small-sized models of the 300 series, whose length does not exceed 4 m, can accommodate 5 people. Cars series 400 are similar in design to Mitsubishi Lancer and are produced with sedan bodies and a 5-door hatchback. For models of the 400 series, ten variants of petrol engines and a diesel engine with a working volume of 1.3-2.0 l with a power range of 76-135 hp have been prepared. The Proton Putra 218 GLXi is a slightly modified by the Malaysians a copy of the two-door Mitsubishi Mirage coupe of the 1991 model created by the Japanese, mainly for sale in the US market under the brands Dodge, Eagle and Plymouth (Manuals pages). Bright appearance, "Prince" does not shine, but it looks okay. And the fact that the machine is not simple, but "charged", says the spoiler on the trunk lid and the chrome tip on the double-barreled exhaust pipe. The more modern 3-door Colt 1995 hatchback turned into Proton Satria (Compact, Putra - for the domestic market, export name - 313). The most interesting versions of it - the "charged" GTI c brought to the specialists of the British Lotus (PDF Manuals) (in turn owned by Proton) 1.8-liter engine capacity of 136 hp. And a cabriolet with a protective arch that replaced the central rack. At the base of Satria was presented and the cabriolet Wira Cabrio. The larger five-door hatchback is called the Wira Grata (Hatchback, Persona, 413, 415, 418, 420), the sedan and the coupe, respectively - Wira and Putra (Salon, Persona, Saga; 415, 416, 420 and M21 Coupe, 418). Externally, the models, of course, differ from the Japanese progenitor, mainly due to the other obveski. At the end of 1999, the base 2.0-liter 136-horsepower engine was supplemented with a 2.5-liter V6 with 163 hp, with which the car develops 220 km / h and can claim the prestigious title (only in the local market). Sedan Perdana (Galant Emeraude 1993) - the export name 600 - upgraded externally in 2000, but they sell with a spacious cabin and a "four" 2.0 liters, 138 hp. Or a 2.5-liter V6 in 163 hp. Only in the Asian market. Since 2001, the subcompact minivan Juara has also been proposed: a slightly modified version of the Mitsubishi Minicab with a 1.0-liter 50 hp engine. The largest Malaysian automotive company, Proton Otomobil Nasional Berhad, produced almost 169,000 cars in 2000 and intends to do so until 2003, when the country will lift increased duties on imported cars, strengthen its position in the local market and expand exports. The company intends to significantly expand the lineup at its own expense, rather than Mitsubishi's licensed models, as previously. In early May 2000, a new Waja model appeared (on the European market from the summer of 2001 under the name of Impian, which is translated from Malaysian - "the dream comes true"), which is a completely independent Malaysian development (although not without the participation of Lotus engineers) Which cost $ 240 million. The new sedan is equipped with 1.6- and 1.8-liter engines. 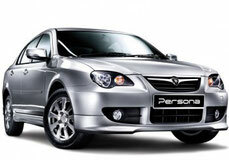 Representatives of the company believe that the car will be the most sold in the history of the brand Proton. This is the first Proton car, almost completely created by the company's own forces. Specifically for the novelty was developed and a new company logo - the head of a growling tiger. Since 2003, in Malaysia, I am canceling high duties on imported cars, so the main local producer Proton is doing everything possible to avoid being squeezed out of the market. The company sold a 27% stake in Petronas, the state oil corporation.